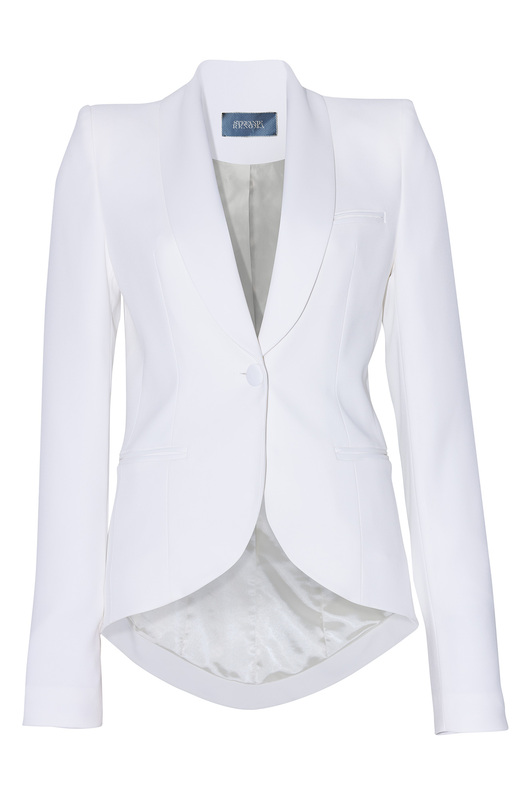 This new and elegant tuxedo jacket features all of the classic tuxedo details in a revamped style, with a wide satin collar and strip in the back. 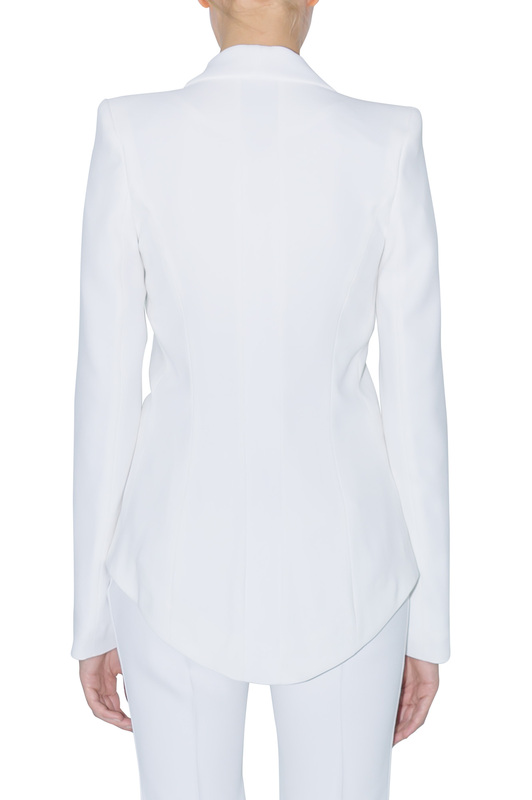 The bottom, front, and back of the jacket have been cut and rounded to fit your specific silhouette perfectly. Wear it with either its straight or flared tuxedo pants for a dressier occasion, or with a simple tee shirt and jeans for a chic and casual ensemble.